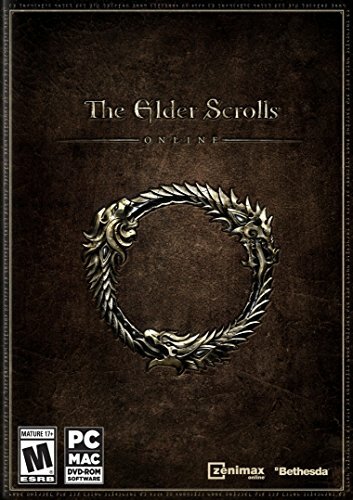 Get The Elder Scrolls Anthology or The Elder Scrolls Online from Amazon. You too can earn money from writing articles by signing up for InfoBarrel. Some content copyright Alexander J Velicky and Bethesda as appropriate. Maps for quests from the Skyrim plugin Falskaar. Bjarrik's Demise is close to the wreck of the Frostrunner and contains a potion which may be useful for the quest A Fortunate Find. Outside the cave are two levelled snow predators, Sabre Cats or Bears of some type. (5) Chest - This contains Gold and may hold armour, enchanted armour, weapons, enchanted weapons, Torches, potions, gems, ingots, jewellery, Lockpicks, spell scrolls and soul gems. Aspenfall Lodge is a ruined pair of buildings with a small belowground area that are visited during the quest A Craftsman's Finest and is a possible destination for the bandit leader bounty quests. (3) Trapdoor to Interior (1). Next to it is a Sack which may contain food. There are 3 Bleeding Crown, a Blisterwort, a Fly Amanita, an Imp Stool, 2 Namira's Rot and a White Cap in this area. (2) Here you can hear the bandits talking about Garant, which will either start or advance the quest A Craftsman's Finest. Chest - This contains Gold and may contain armour, enchanted armour, weapons, enchanted weapons, Torches, potions, gems, ingot, jewellery, Lockpicks, scrolls and soul gems. We're moving - This is a note from Garant saying that he is going to Shattered Axe Redoubt. This will also start or advance A Craftsman's Finest. (5) Table - On this are 3 Iron Ingots. Next to it is an Anvil. Shattered Axe Redoubt is visited during the quest A Craftsman's Finest and is a possible destination for the bandit leader bounty quest. Just to the east of the main entrance is a ruined Imperial tower. In it is a random potion and a Chest with a levelled lock which contains Gold and may hold armour, enchanted armour, weapons, enchanted weapons, Torches, potions, gems, ingots, jewellery, Lockpicks, spell scrolls and soul gems. Outside the main entrance is a Barrel which may contain food. The secondary entrance can only be used when the Lever inside at (25) has been used to open the Cage Gate at (26). There are 3 Fly Amanita, 2 Glowing Mushroom, 2 Imp Stool, 3 Namira's Rot and 2 White Cap in the cave. There are also a Rabbit and a Frost Miriam. (11) Chest - This contains Gold and may hold armour, enchanted armour, weapons, enchanted weapons, Torches, potions, gems, ingots, jewellery, Lockpicks, spell scrolls and soul gems. (a) has an Apprentice lock. (17) Quicksilver Ore Vein. Nearby is a Knapsack which contains a random book, jewellery, restorative potions and clothing and may contain food and Gold. (24) Knapsack - This contains a random book, jewellery, restorative potions and clothing and may contain food and Gold. Nearby is a Pickaxe.